Mr. White directs the University of Maine Symphonic Band, Pride of Maine Black Bear Marching Band, and the Screamin’ Black Bear Pep Band. Bands under his direction have performed throughout New England and across the nation including Louisiana, California and Virginia. Mr. White also teaches percussion methods, marching techniques, conducting and undergraduate studio percussion. 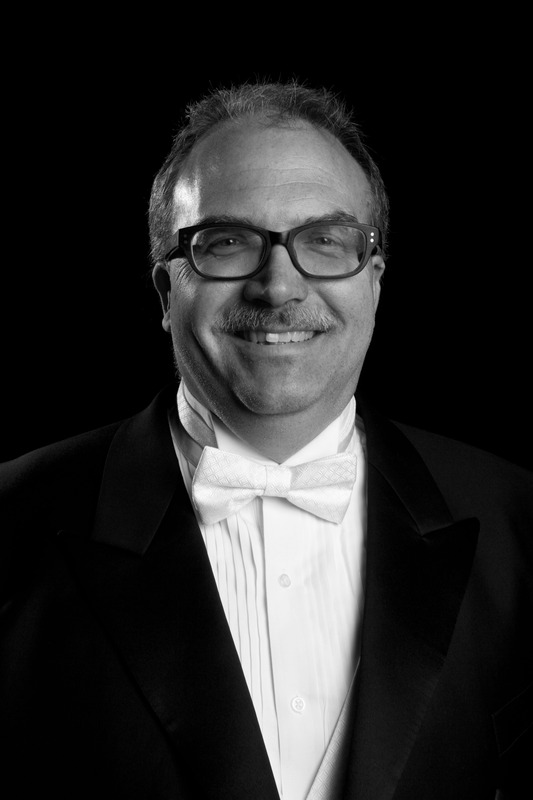 He is the director of Maine Summer Youth Music camp and is currently the symphonic band director of MSYM. Chris received his B.M. in Music Education in 1988 from Ithaca College , studying percussion with Gordon Stout and Bill Molenhof and conducting with Rodney Winther; his M.M. in Instrumental Conducting from the University of Maine in 1994 , studying percussion with Dr. Stuart Marrs and conducting with Professor Curvin Farnham. Mr White has attended the University of North Texas conductors collegium 2 times studying with Eugene Corporon and Dennis Fisher. From 1988-1992 he was the Band Director and District Music Supervisor of M.S.A.D. #11 in Gardiner, Maine. Prior to being named director of the University of Maine Symphonic Band, Mr. White was the associate conductor of the group, conducting on their annual tour. Chris has played percussion with the Maine State Ballet Orchestra, the Bangor Symphony Orchestra and has performed at P.A.S.I.C. with the University of Maine Percussion Ensemble. Mr. White is also active as a clinician for percussionists and bands throughout the state of Maine, as well as guest conducting and adjudicating festivals. Chris is a member of C.B.D.N.A.. He is also a member of Phi Mu Alpha Sinfonia, and Pi Kappa Lambda as well as an honorary member of Kappa Kappa Psi and Tau Beta Sigma, and is currently faculty adviser to Tau Beta Sigma.